In a land far, far away called June Weddings 2017, Molly (Pascale Hutton), a marriage counselor turned fitness instructor, met Nick (Kavan Smith), a not so happily engaged wedding photographer. They squatted and yoga posed their way into each others’ arms, he dropped his fiancée, and they fell in love. For a more detailed account of this fairytale, check out my Recap of The Perfect Bride. Fast forward to The Land of June Weddings 2018, and Molly and Nick are great. So great! Just look at ’em! Ugh, they are so cute. We, however, are greeted with a memory (or nightmare) of a wedding long past, and finally get to experience the horror of Molly’s first wedding. As she walks down the aisle, she slowly realizes that Steven (Lane Edwards) isn’t there waiting for her. But I’m not quite certain that it’s totally his fault because I am 95% sure this is the church from Hallmark’s A Bride for Christmas where Arielle Kebbel walks down the aisle and right past her groom out the door. So, this church might just be cursed. We also learn that Molly’s Boot Camps are booming and that she has plans of opening her own gym! I have no reason to use this picture, but I love it so I am. Nick takes Molly back to where they first met at Brendan (Casey Manderson) and Elizabeth’s wedding. He illuminates the place like a classy Christmas light display and gets down on one knee! He proposes and she obviously says yes, and it’s adorable andandand ugh! This movie is making me too happy. Hurry, someone tell me something sad so my vision of reality doesn’t get completely distorted. At their engagement party, the ugly word PERFECT reintroduces itself, but decides to recede to the corner where it will sit patiently until it gets mentioned the magical amount of times before it explodes and destroys everything in a 10 mile radius. Because Molly’s boss, Daniel (Mark Dacascos), has heard through the jump rope (lol sry) that she is interested in opening her own gym, he offers a different idea. He wants to retire to Hawaii and would like to sell Counter Fit to her! Georgia Parsons, a veteran Bridal Boot Camper, approaches Nick to photograph her marriage to a hotel mogul. He tells her that he wants to focus on the artistic side of photography. She lets him know that she’ll convince him to say “yes” eventually. Okay? Chill out, lady. For an engagement party, there sure was a lot of business talk going on! lol remember how obsessed ur ex was with having the perfect wedding that she stole a wedding dress? hahaha classic! u actually loved her lololol! Update: 15 minutes in and Nick and Molly are still Hallmark couple casting goals. She also asks her sister, Lisa (Leanne Lapp), to be her matron of honor. Lisa and her husband, Rennie (Kerry James), are taking Molly’s Boot Camp which that means we get to see a lot of them! Yay, I just love this cast. I miss Rennie’s ponytail but this TV-G square is a pretty good look. Back at the bank, Molly gets bad news, then good news, then oh no omg everything is on fire help ahhhhh this is terrible! news. The bank has rejected her loan application (bad), but they submitted it to some private investment firms and one of them is interested (good). And she gets to meet the silent investor today! He walks in and dramatically says “Hi Molly” like a soap opera character who everyone had presumed had been dead for the past 5 years. The investor is STEVEN. Yes, left Molly at the altar Steven (oh no omg everything is on fire help ahhhhh this is terrible!). Steven opened a firm that invests in small businesses and is sorry and did a lot of changing (sure he did a total 360 turning his life around 😏) and blah de blah de blah. He’s like I’m your only option, kid, let me be a silent investor and just sit back silently and keep tabs on you for the rest of your life! Because Molly is mature and a good fiancée, she tells Nick that Steven is the investor. Nick is rattled by this, but says he trusts whatever her decision will be. He feels a little better that she has hired Brendan, the best lawyer in Portlandia, to help her with the contracts. The wedding venue calls and we find out there has been a mixup with the date. Instead of their wedding being 8 months away, it’s in 6 weeks. They have to plan an entire wedding. They enlist their friends and family to help out. Those poor, poor people. Quick reminder that I love this cast! pretend like they are not freaking out. Also, Steven is inappropriate and questions Molly about why she is getting married so quickly. I love how Molly always stands up for herself and reminds him that their relationship is strictly business. Everyone is overwhelmed. There is way too much going on. But, through all of this, Nick and Molly keep practicing pretty good communication skills and remain adorable together, even though they are having meltdowns in their respective corners. However, the PERFECT Monster is getting larger and larger in it’s corner. Update: 50 minutes in and Molly and Nick are still the best couple. Both Molly and Nick find themselves in uncomfortable situations. Molly always has Steven lurking in the shadows and popping out of nowhere. She even has to demonstrate a trust yoga pose with him for one of her classes. Georgia Parsons is still trying to trap Nick into taking her wedding photos. She even slips him her business card with a ton of zeros on it. These kids are stressed to the max. One thing that really works in this movie is that even though Molly and Nick are about to lose their minds getting everything done in 6 weeks, they are always respectful and supportive towards each other. You never question their love. This movie could’ve easily gone so wrong trying to add conflicts that made the viewers question their relationship, robbing us of the joy of Nick and Molly’s effortless chemistry. Somehow, even though this is a movie about planning a wedding (something that REALLY stresses me out), I was able to relax and enjoy myself. Seriously, congrats to the cast and crew. Molly and Nick talk about their worries, and promise they will postpone the wedding if they get too overwhelmed. Excuse me while I scream into a paper bag because Steven is just super inappropriate. Oh no, the paper bag just exploded. questions Molly about why she’s planning her wedding in such a hurry. Molly breaks and says that she’s pushing the wedding so quickly because she’s worried if she doesn’t get married soon Nick might leave her too. Nick overhears this and thinks they should focus on their careers and postpone the wedding. Looks like the PERFECT Monster finally came out of the corner and exploded. Okay, time to wrap this up with some happy bullet points! Molly tells Steven the deal is off! She ditches him at the contract altar! Daniel is like…good! I didn’t want to sell! They decide to be partners! Molly and Nick decide to get married even though not everything is perfect! They get married! They party! They dance to Lifehouse! All is great! The end! I rate The Perfect Bride: Wedding Bells A Cupcake which is a 5/5 on my scale of Donuts. this one worked! It worked because Pascale and Kavan’s chemistry is indestructible. They could make a bad script shine just from the way they smile at each other. But this wasn’t a bad script! So double win!! And we got to get to know the (very great) supporting cast even better. Triple win!!! VERY RARE that a sequel would get a higher score than the original! This got a perfect score! Quadruple win!!!! I do, however, feel bad for Georgia Parsons for getting a huge deal for Nick and not even getting a wedding photographer out of it. C’mon Nick! It won’t make you less of an artist! But, all in all, YAY! Good job. Eat a couple dozen donuts (or cupcakes) and take a long nap because you all deserve it. Thanks for reading! Let me know what you thought about The Perfect Bride: Wedding Bells! P.S. if there is a third movie, more of this guy! This was a great and hilarious review! I also reviewed The Perfect Bride: Wedding Bells on my blog and, honestly, I thought the first movie was better than the sequel. However, I think a third movie with Molly creating a maternity boot camp would be interesting! As for Hallmark making more sequels, I would like to see Royally Ever After get a sequel, especially since Hallmark has never made a wedding themed royal movie before. Great, fun review. And I completely agree too. The story was basic and nice and it had me smiling the whole time. You’re (not y-o-u-r, lol) right I think that it was nice to see a couple actually communicating with each other on telly and not have so many crazy things creating conflict. As many Awww factor moments as there were, Nick and Molly are still quite a believeable and real couple. I like that. Thanks for reading! And I’m glad you enjoyed the movie too. 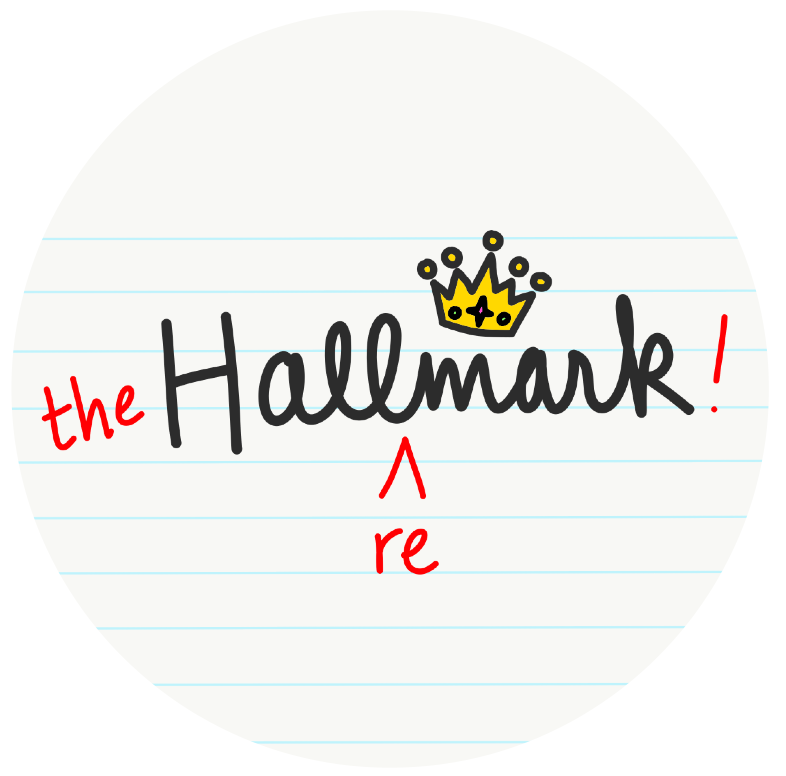 It was a nice change of pace for Hallmark sequels. Plus, you just can’t beat their chemistry. I am absolutely devastated right now because my DVR recording of this movie cut off the last 20 minutes or so and there appears to be no future replay anytime soon and it’s not on their Hallmark Now either. I LOVE Hallmark movies but most of the time I just watch and move on…I am so attached to Molly and Nick though. Something about the chemistry and adorable dorkiness of these two just has me very invested in their lives. I’m so bummed right now…I waited awhile to watch when I could sit down and relax and really enjoy it–whaaaa. I totally get what you are saying, because I feel the same way about them! I’m sorry that it cut the last 20 minutes off, what a nightmare! I sure hope they show it again before the Christmas movies start.